The department of Electrical Engineering is one of the pioneering departments of the University. It was established in the year 2015, to serve a very powerful purpose: to be the place of higher learning for talented students in India & abroad who would serve community, nation and society. Committed to engineering education, innovation and interdisciplinary research, we offer our students a rich educational experience, an experience that combines intellectual rigor and cross-disciplinary breadth in an organized, student-centered environment. The curriculum has been designed to provide our students with strong fundamental skills complimented with the industrial & professional skills. Our department has given its best in various fields of Power Systems, Control & Instrumentation and Power Electronics & Drives etc. The students of the Department of Electrical Engineering have consistently maintained an exemplary academic record. The simulation and design lab has software like MATLAB, P-SPICE. Control System & Advanced Power Electronics Laboratory. Separate Departmental Library in Electrical Engineering Department. Students have access to number of text & reference books from well known publishers, journals, magazines, lab manuals, lecture notes, project reports, seminar/ training reports, alumni contacts, university question papers and syllabi etc. Organization of industry visits, Workshop & trainings in modern research areas, expert lectures by eminent persons from industries and reputed institutes are routine activities in the department. The department conducts seminars and presentations on recent technical advancements, and preparatory tests to enhance communication and soft skills of its students in order to strengthen their chances to achieve their goals. The cut-sections of various machines and transparent models of instruments have been procured to give the students a practical insight into their working. A separate electrical workshop enables students to learn practical applications. 100Mbps high speed Internet facility to all the students and staff round the clock. The basic electrical engineering lab focuses on introduction of various fundamentals of networks theorems, transformers and all types of electrical machines. The various setups present in the labs are verification of network theorems such as Thevenin Norton superposition maximum power transfer theorems with dc, polarity testing of single phase transformer and speed test of single phase induction motor and energy meter etc. includes all the experimental setup related to basic electrical technology. The Basic Electrical Engineering Lab is utilized by all branches of students for lab work. All types of DC Machines, induction motors, transformers, starters and loading arrangements for machines, measuring instruments of all types needed for Electrical Machines Laboratory are utilized by all branches of students except CSE and ECE students for lab work and project work. All these facilities are used by the teachers for research and development work. All types of experimental setups required for analysis and synthesis are available such as Verification of Thevenin, Norton, Superposition, Maximum power transfer theorems. Synthesis of two port networks coupled with the study of all types of filters and resonant circuits is also performed by the students. The Networks Laboratory is utilized by students of EE and ECE Department for lab work and project work. 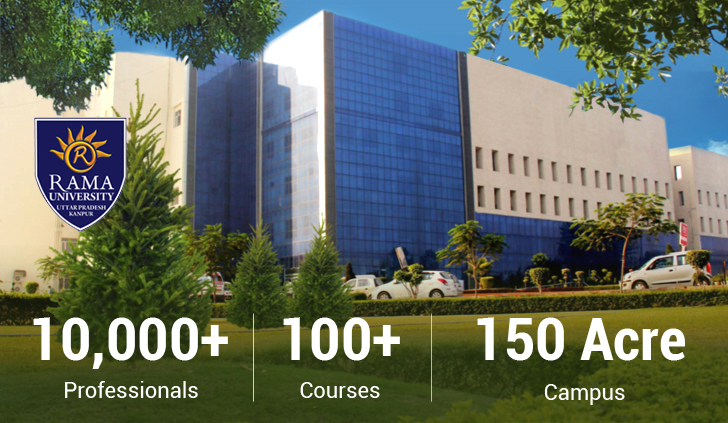 All these facilities are used by members of faculty for research and development work. The Measurement Lab comprises of various bridges such as Kelvin’s Double Bridge, Hays Bridge, Desauty Bridge, Schering Bridge etc and instruments required for the study of measurement and calibration. The lab is utilized by students of EE and ECE Department for lab work and project work. All these facilities are used by members of faculty for research and development work. Power System Laboratory comprises of protection, simulation, high voltage and machine related experiments. Facilities are available for overcurrent, undervoltage, directional, differential and distance relays including different numerical relays. Finding new energy sources is an important challenge for us. A lot of research focuses on identifying such sources that can also be explored with relatively simple and efficient systems. These sources can be either new materials that can be used to generate energy, or solutions to scavenge already existing forms of energy. The system presented in this research converts the energy consumed by many people in paddling a bicycle to electrical energy. Specifically, we depict the design of a low-budget system that uses existing, discrete components and is able to scavenge some of the energy spent by the paddler. The experimental results show that the system is functional, but its efficiency is limited by (mechanical) losses before collection. Our project is very beneficial for rural areas where electricity is not available. People will generate electricity by making some effort namely paddling a bicycle few hours in a day which generates approximately around 100 W of power. It is also beneficial at the time of any natural disaster. An LED lamp is a light-emitting diode (LED) product which is assembled into a lamp (or light bulb) for use in lighting fixtures. LED lamps have a lifespan and electrical efficiency which are several times longer than incandescent lamps, and significantly more efficient than most fluorescent lamps, with some chips able to emit more than 300 lumens per watt (as claimed by Cree and some other LED manufacturers). Photovoltaic cell is initially used as a source of electricity for small and medium-sized applications, from the calculator powered by a single solar cell to remote homes powered by an off-grid rooftop PV system. As the cost of solar electricity has fallen, the number of grid-connected has grown into the millions and utility-scale solar power stations with hundreds of megawatts are being built. Solar PV is rapidly becoming an inexpensive, low-carbon technology to harness renewable energy from the Sun. Visit to ‘Namaste India’ for industrial exposure. One day International Workshop on Educational Technology & Green ICT in association with University of Turku, Finland was organized by Faculty of Engineering & technology, Rama University, Kanpur in Mar 9, 2016. National Conference “CAST-2016” was organized by Faculty of Engineering & technology, Rama University, Kanpur in Mar 19, 2016. One day Faculty Development Program was organized by Faculty of Engineering & technology, Rama University, Kanpur in Jan 25, 2016. Two day National Conference “TSPC-2015” was organized by Faculty of Engineering & technology, Rama University, Kanpur in Sep 19-20, 2015. Public Sector Undertakings like NTPC, PGCIL, BHEL, GAIL, IOCL, HPCL, BPCL, NHPC, THDC, SAIL, ONGC, UPPCL, UPRVUNL, BSNL, MTNL etc employ electrical engineers. Private Sector Undertakings Like Infosys, TCS, Wipro, Tech-Mahindra, Havells, General Electrical, Crompton Greaves Limited, Reliance Energy, Tata Power, Jindal Steel etc provide ample opportunities to our graduates. Various other industries also offer job opportunities to graduates in electrical engineering. They include industries like Mechanical, Automobile, Communication and Software.